This little guy was photographed in the Outer Banks this past summer. His name is an homage to Suzanne Tate! What a fabulous composition! 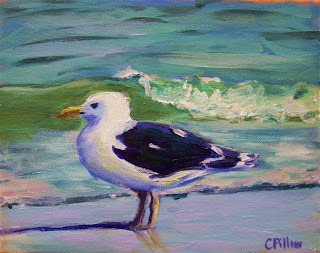 I love the way that your use of color unifies the composition and of course, the little seagull is adorable!